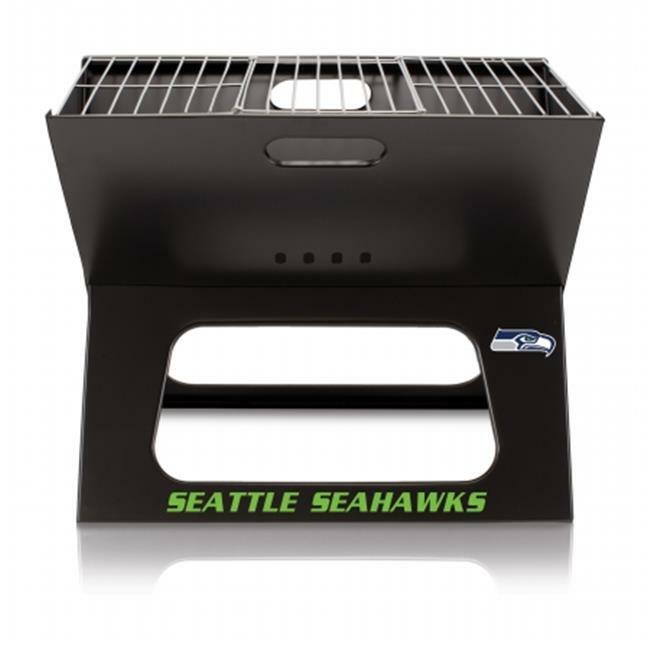 The X-Grill is the folding portable charcoal BBQ grill with a slim line design. Compact and easy to assemble, the X-Grill provides a grilling surface of 203.5 sq. in. The X-Grill includes electro-plated iron barbecue grill, chrome-plated tri-fold cooking grate and charcoal grate all stored conveniently inside the folded grill, and durable 600D polyester carrying tote. So why be confined to your backyard With the X-Grill, you can take the BBQ wherever you want to goThe place where need and want becomes one. Picnic Time prides itself in unique, multi-functional gifts for yourself and others. Our products have set the industry standard of excellence which have led statisy even the most toughest of expectations. The curved neck of the bottle also serves as a convenient carry handle for presenting your appetizers or light fare to your guests.